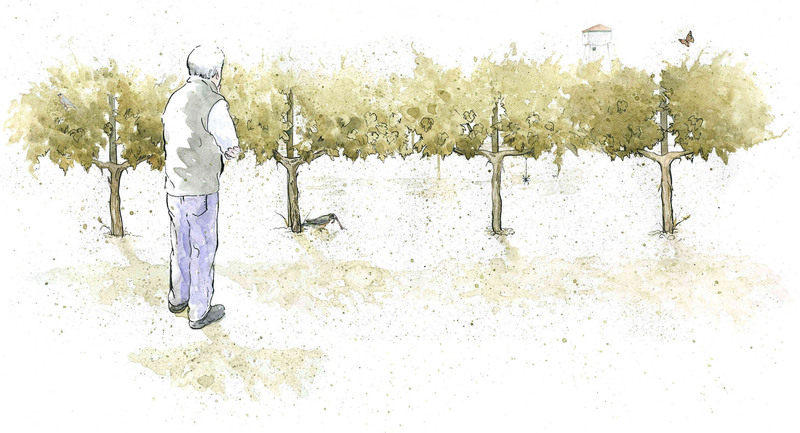 Owner and Winemaker, John Williams, offers some thoughts on forty years of grape growing in the Napa Valley. My grandfather always said that you could pretty much tell how good a farmer was by how straight his fences were. Perhaps the Napa Valley equivalent would be that you can predict the quality of a winery’s product by the health of their vines. After four decades of making wine in the Napa Valley, I am proud to say that Frog’s Leap grows almost all of our own grapes. And a visit to the winery always starts in our beautiful vineyards. For more than 25 years we’ve been well known for our advancement of the principles of organic grape growing, dry farming and many aspects of biodynamics. It would be understandable for one to attribute our actions to a deeply held political agenda or, quite the opposite, to a thinly veiled marketing plan. While both are fair assumptions, neither are true. In point of fact, it has always been wine quality that drives our farming choices. Arriving in the Napa Valley in the early 70s afforded me the opportunity of mentorship under some of our greatest winemakers. These men, and the wines they produced, profoundly influenced my own desire to make wines that adhere to three basic principles–balance, restraint and respect for terroir. I believe these characteristics are the indisputable product of the vine itself and are an expression of the deep connection to the soil and environment in which it lives. Grapevines are living, sentient beings with their days and nights consumed by concern for vital life choices, like when to sweeten their fruit to attract birds to spread their seed, or when to break bud in the spring, or when to start storing energy for the next season. These are critical decisions a vine makes each and every day. So how does a grapevine make these decisions? They do so by taking information from their environment. They measure the angle of the sun, the phase of the moon, the tug of the planets, the temperature and moisture content of the soil and the kind of chemical signals soil organisms are giving off. It knows when the birds visit, it’s on familiar terms with surrounding insects and their life stages and it takes a cue from the acorns falling off the nearby oaks. In short everything in its environment is a clue. But what happens so often in most vineyards? The vines are lined up, their branches forced into restrictive trellising and their growing tips are cut off. They are exposed to toxic pesticides and fed strong, synthetic fertilizers. They are forced to drink water when they are not thirsty. Birds are discouraged, insects are killed, and the oak tree is cut down. So much of modern farming is dedicated to removing the very information that these plants need to succeed. In this light our farming choices are not radical concepts but rather the very basics of what must be done to reunite a vine with its environment. We farm with the intent of affecting as little as possible while relying on the plant itself to do the heavy lifting. How? Through thoughtful implementation of watchful practices that aim to complement what’s happening in nature. 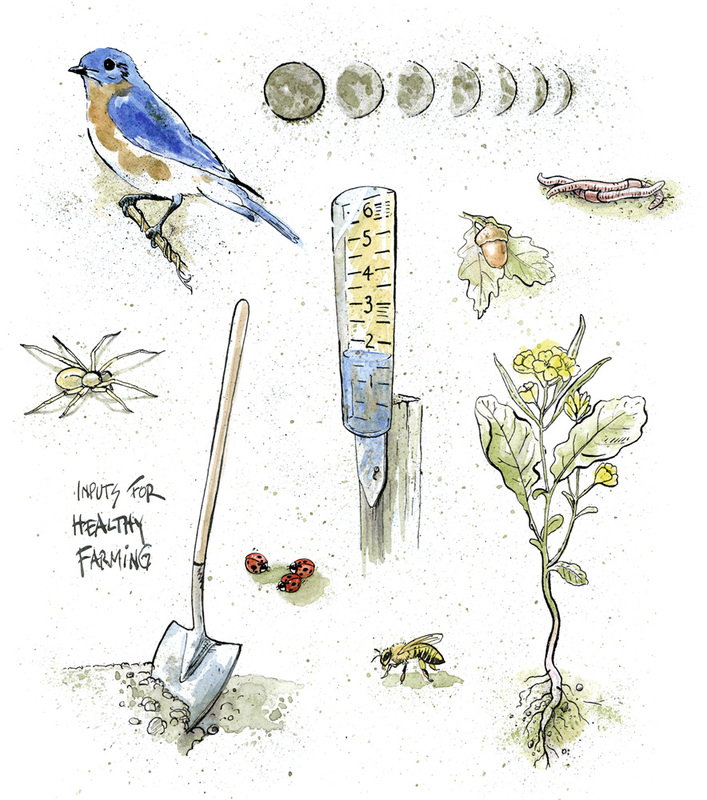 We know that healthy, vibrant, microbial-dense soil will better absorb the winter rains and provide for the nutritional and water needs of the plant all year long. We’ve learned that if we maintain biodiversity through cover crops and insectary borders that the vine will be able to communicate with other plants and bugs in a meaningful way. We see that when we tend our vineyards respectfully, humbly and with care that our vines are better able to use their canes and leaves to measure the angle of the sun, the length of the day and warmth of the evening air. Aligning our farming actions with the natural interests of the vines themselves is what gives our wines bright, high-toned acid, deep earthen flavors and the restrained alcohol that promises each vintage, each variety, will not only be beautiful in its youth, it will stand the test of time. Ultimately, we understand that balance is not the result of winemaking but rather that perfect ratio each vine seeks in attempting to spread its seed. Restraint is not a cellar-based attempt to lower the alcohol content of the wine but rather a reflection of nature’s own modesty. And respect for terroir is not a vague marketing phrase but rather the complete and overwhelming sensation one gets when presented with a pure product grown in a healthy, living environment. The best wines in the world are grown and produced with this knowledge, and we are proud to be recognized among them.